Today, I’m going to share my Top 22 MLM Trainers in the industry, as I see it. Let me begin by telling you there are lots of great trainers in the network marketing industry. I’ve personally studied everyone on this list to some degree or another. Now, let me start by telling you this list is very SUBJECTIVE. You may agree or disagree with me. That’s perfectly fine. This list is just my opinion. To me, these folks are the best of the best and you could learn a lot by studying any of them. Here is my list. Enjoy. If you’ve never heard of Sandy Elsberg before, you are WAY behind the power curve. She is a multi-million dollar producer. She’s the top producer in several companies. She is frequently referred to as the “trainer’s trainer. She is also a Certified Network Marketing Trainer. She has been in our industry almost 40 years now and she is an icon. Doug joined the industry sometime around 1985. He spent about 14 years in the field as a distributor and then transitioned to the role of a trainer sometime around 1999. He leads his company “PassionFire International.” He offers books, videos, audios, webinars and tons of other great training materials for network marketers. Art Jonak definitely had to make my list for the top MLM trainers in the industry. He’s been in the industry nearly 25 years now and he is the founder of the Mastermind Event, one of the premier training events in our industry. He is also the co-founder of the annual MLM Cruise. Art is very laid back, has tons of knowledge and great people skills. He is always sharing his wisdom with others and trying to improve the reputation of our industry by teaching people the right way to act. Jackie is a powerhouse. And when it comes to building your network marketing business online she is one of the best trainers around. She has her own podcast, a great blog and does tons of great training videos. She has tons of enthusiasm, has a big heart, and is truly a MLM Expert. You could learn a lot from studying her. Learn more about Jackie Ulmer. Robert Hollis is a network marketing icon. Robert has built teams with more than 700k people. He’s also helped 45 people become seven figure earners and thousands of people become six figure earners. He is a top earner in Gano Excel and he also created Unlimited Profits. He does tons of interviews on YouTube and is definitely an ambassador to the industry. He also does coaching and consulting. Robert is one of the nicest guys you would ever meet, and extremely humble. 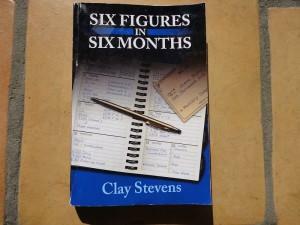 I haven’t known about Clay Stevens for very long. I wish I learned about him when I first joined the industry nearly 13 years ago. Clay Stevens is the author of “Six Figures in Six Months” which happens to be my favorite MLM Book of all time. He is also a 25 year veteran in the industry and he has extensive experience in direct selling and training. He is an industry mentor, a Fortune 500 corporate trainer, and personal effectiveness coach. One of the most important products he has is his “3 Step Success Pattern” which can help anyone build a successful network marketing business. He is one of the best trainers in the industry. Visit his website to learn more about him. He is the sleeper on this list that you should know about, but probably don’t. Michael Clouse is a top earner in Isagenix. He’s been there and done that and he is a phenomenal trainer. He’s to the point and calls a spade a spade. He is calm, confident and poised. He has so much wisdom and knowledge about this industry. He has more than 30 years experience in our industry and he’s frequently been considered one of the top 10 MLM Trainers in the industry. He is also a business consultant, personal coach and keynote speaker. He is editor-in-chief of the popular, Nexera.com website. Visit his website to learn more about him. If you’ve spent any time in our industry at all, you have probably heard of Randy Gage several times. Randy is the author of nine popular books, including two of my favorites “Making the First Circle Work” and “How to Build a Multi-Level Machine.” He has personally trained more than 2 million people and he is also a member of the Speakers Hall of Fame. His is also an avid softball player. His initial focus was MLM training, but now he talks about many different areas in the prosperity and personal development field. Visit his website to learn more about him. Todd is a no-nonsense, in your face type of guy. That is what I admire most about him. You can visit his website to learn more about him. Richard is the man! He is the author of “The Four Year Career” and “Mach 2 with Your Hair on Fire.” He’s spent more than 38 years in our great industry. He is a former member of the Board of Directors of the Direct Selling Association, he is a senior member of the DSA Ethics Committee and he owns his own MLM Company “Life Shotz.” He even does a series called “Super MLM Man” where he interviews random people to see what they know about MLM. He is a true advocate to our industry. Learn more about Richard Bliss Brooke. Tim is a former Navy Explosive Ordnance Disposal team member (bomb squad). Tim is the creator of Brilliant Compensation and First Class MLM Tools, an iconic training program in network marketing. Within five years of joining the industry he built a team of 56,000 people and was earning more than $150,000 per month! He is now a distributor, consultant, coach and trainer. He does seminars and events. He teaches a no-nonsense style that I can relate to. He is practical, to the point and loaded with great knowledge. Visit Tim’s website. Robert Blackman is a renegade in our industry. One of the things I learned from him is the power of direct mail and postcard marketing. He has a great book titled “MLM Big Money.” He also owns his own leads company called “Profit Leads.” Robert has an active Facebook page and he is a huge advocate of our industry. He’s also a distributor in several different companies. He serves as a consultant, does his own private coaching, and teaches people how to be successful in this great industry. I’ve been following his teaching for more than five years now and he has helped me immensely! Visit his website to learn more about him. Sarah Robbins is a top earner in Rodan & Fields. 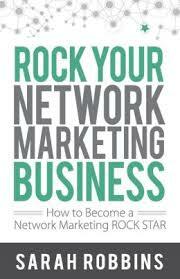 She is also the author of “Rock Your Network Marketing Business” one of my favorite network marketing books of all time. She has an amazing blog where she delivers a ton of great content. She also does tons of great training on YouTube and does coaching and consulting as well. Sarah is genuine, friendly, intelligent and very caring. Learn more about Sarah Robbins. Jeff Roberti has earned more than $80 million in this industry and he is one of the top earners of all time. Jeff is a distributor with Juice Plus and he also travels around the country providing training, coaching and interviews. Of all the people on this list, Jeff is one of only a select few that has been in the trenches with the same company for more than 25 years. He’s still very actively building his business. His YouTube videos are absolutely priceless and are loaded with great content. Learn more about Jeff Roberti. Ray Higdon has made a huge impact in my network marketing business, especially when it comes to blogging. He taught me the value of posting new content every day and positioning yourself as an expert. He’s also taught me a lot about social media marketing and email marketing. His teachings help network marketers and anyone looking to brand themselves online. Ray is a top earner in his MLM Company and he also has a large coaching and consulting business. I definitely would have ranked him higher, but most of the other people on this list have been in the industry much longer. Ray is the new kid on the blog, but I expect within a few more years, he will move many spots up this list. Ray is sincere and genuine and he really cares about people. Learn more about Ray Higdon. Of all the people on this list, Mike Dillard has impacted me the most. Although he is not a network marketing trainer per se, he taught me everything I know about attraction marketing and online marketing. I credit my success to his book “Magnetic Sponsoring” which taught me so many concepts about positioning myself as an expert, creating multiple streams of income and generating leads. Mike recently left the network marketing industry to pursue other business endeavors, but his legacy continues. His products are top notch and he is without a doubt the best marketer on this list. Learn more about Mike Dillard. Jordan Adler is the top money earner is his MLM Company “Send Out Cards.” He is also author of the book “Beach Money,” which is one of my favorite network marketing books of all time. Jordan is such a breath of fresh air in our industry. He teaches relationship marketing and the power of making new friends. He builds his business the old fashioned way, working face to face one person at a time via relationship marketing. His training is absolutely amazing. You can check out this YouTube videos to see for yourself. He doesn’t use hype or fluff. He is sincere, low key and honest. I admire the guy very much. Learn more about Jordan Adler. Dale Calvert has more than 30 years experience in the network marketing industry. He is the founder of Calvert Marketing Group. He has authored more than 10 books and countless training programs for network marketers. He’s also built huge teams in our industry. He retired as a distributor in 2000 and now focuses his time and energy as a MLM Trainer. He is best known for his “no fluff” and “tell it like it is style.” Visit Dale’s website. I am really grateful for Eric Worre. He has more than 25 years experience in our industry. He’s been a distributor, a company owner, and now he focuses 100% of his time on helping people in the industry. What he has done with his video tutorials on Network Marketing Pro has been a real game changer for our industry. He offers so much value to his audience. Eric interviews six and seven figure earners to get them to share their insider secrets and best tips. His training is on point, there’s no hype, and anyone can benefit from it. Combine that with his bestselling book “Go Pro” and you have a winning 1-2 combination. Visit Eric’s website. Don Failla is my # 3 MLM Trainer of all time. He’s been involved in this great industry for nearly 50 years now! I am also very lucky to be part of his network marketing team, so he is my upline mentor. 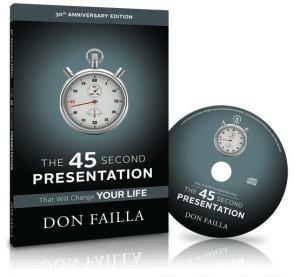 Don is the author of “The 45 Second Presentation,” which is one of the all-time bestselling books in our industry, and definitely one of the best. If you haven’t read it yet, you should. He shows people how to “own their own life” with his powerful “napkin presentations.” Don speaks all over the world at different company events and he even does his own seminars. He’s famous for always wearing his Hawaiian shirts! He’s one of the few trainers on this list who still builds a downline. He’s also very nice and very humble! Check out Don’s website. Mark Yarnell comes in a close second place on my list. Mark Yarnell taught me so much about our industry, even though I have never met him in person. His books “Your First Year in Network Marketing” and “Your Best Year in Network Marketing” are two of the most powerful books in our industry. What I admire most about Mark is his no-nonsense approach about what it takes to succeed in our industry. He teaches that duplication is a lie and what you want is innovation, not duplication. He is the ultimate man’s man and he keeps things simple. He calls a spade a spade and tells you what you need to hear, not necessarily what you want to hear. Sadly, Mark Yarnell passed away in March 2015 at the age of 65. Rest in peace, Mark. Learn more about Mark Yarnell. I had to put “Big Al” Tom Schreiter as number one on my list. He’s been in the industry longer than just about everyone on this list. He joined network marketing in 1972. He offers great training through his weekly ezine, his books, his websites and his events. He holds training events all over the world and he speaks at lots of different company conventions. You can also check out his website, Fortune Now. Big Al is the master at storytelling and keeping things simple. He uses his great sense of humor to make his training easy to remember and useful. I’ve been following “Big Al” since I first joined the industry 13 years ago and he has helped me immensely. Learn more about Big Al. I hope you have enjoyed my list of the top 22 MLM Trainers of all time. Putting this list together was fun, and time consuming, but it sure was challenging to just keep it to just 22 names. All of these great people have helped me immensely in my network marketing business and I know they can have the same impact with you. I would love to know what you think. Which person on this list has taught you the most about network marketing? Who is your favorite MLM Trainer? Who did I forget to include? Leave a comment below to share your thoughts. I look forward to hearing from you. Hi Charles, great Post! These are really Network Legends. I found it very interesting that you were in Don Failla’s team. Cool Thing!! Can you tell me which company he is in. I never find anything about it. I wonder how he built his downline because you can’t hide your company that good even you are such a caliber. Don is part of Life Plus. I’m a new commer for the mlm trade. Your informatons help me lot to develop my knowladge. Thank you very much my dear friend. I wish you all the best. Thanks again. I really enjoyed reading this post and will look into the information that you shared . I have studied a lot of the trainers that you mentioned but not familiar with several. Thanks again for another great post Chuck! Glad you enjoyed it Kathy. How great is it that you have been able to learn from each of the people on this list in some way? I like that you really do take the time to research and study those that you’ve found to be successful in this industry. You are surely on your way to being on this list because you soak in so much information and then use what you know to help others. I’ve studied a few people on this list, but I may have to take a look at a few others too. Yes, all of these folks have helped me in one way or another.